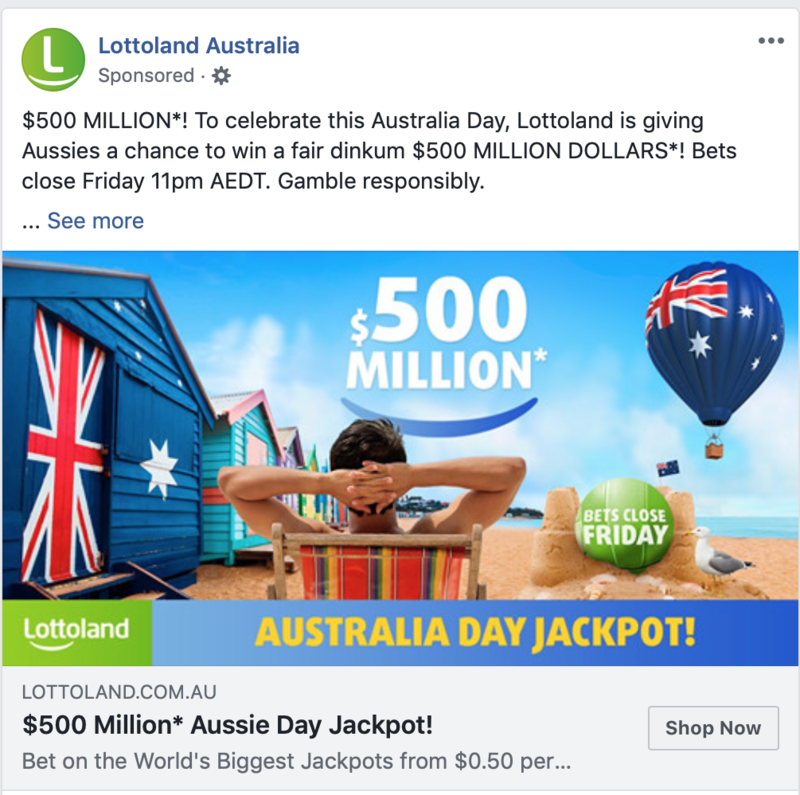 Lottoland blitzed Facebook and Instagram last week with an ad pitching an Australia Day promotion. This from a company federal politicians thought they had dealt with. This company has not gone away. It is not going away. Lotteries, especially app / online access lotteries and ‘lotteries’ continue to be in play.